The Office of the United Nations High Commissioner for Human Rights (OHCHR) has urged Russia to stop police actions, including against Crimean Tatars and lift the ban on Mejlis. "Put an end to police actions, including house searches, summons, detentions, taking of DNA samples, targeting disproportionately members of the Crimean Tatar community," the OHCHR said in its recommendations to the Russian government issued in its report on the situation with human rights in Crimea over the period between February 22, 2014 and September 12, 2017. 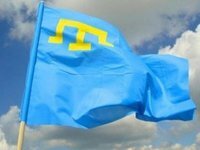 The UN also urged Russia to lift any limitations on the ability of the Crimean Tatar community to conserve its representative institutions, including the Mejlis. In addition, the OHCHR called on Moscow to ensure that the rights to freedom of expression, peaceful assembly, association, thought, conscience and religion can be exercised by any individual and group in Crimea, without discrimination on any grounds, including race, nationality, political views or ethnicity.